First of all, HAPPY LABOUR DAY! I finally got around to some digital scrapbooking of my own today and scrapped up some memorable new photos taken in the past couple weeks. I just wanted to pop in and share them with you! 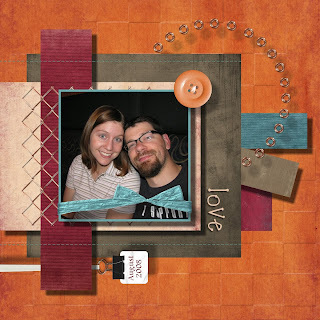 The first involves my handsome husband and I, and uses papers and elements from Summer Splash by Christine Ousley, christinescraps for BTST. The second is a compilation of some photos with my friend Michelle. Michelle was my maid of honour in my wedding and has been my best friend since moving to Canada. We met when we were both working in the Human Resources department of Safeway. We've both found new jobs but do just about everything together. 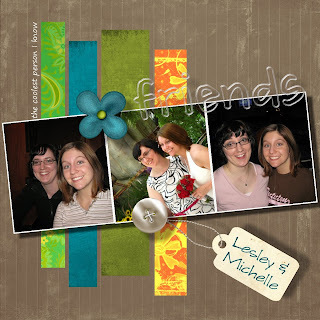 This page is dedicated to her friendship and uses elements from the Citrus Berry kit by Vicki at AWP (A Work in Progress). I love Vicki over at AWP so much that I used another one of her freebie kits, Fired Earth, for this layout of Lucas and I. Aren't we cute? 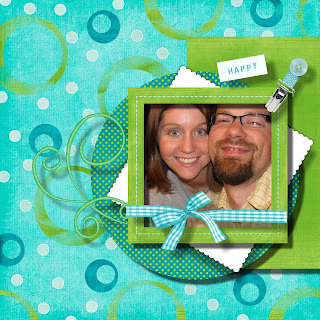 This last one I did using the Express Yourself freebie kit by RPENN. Yay for girls just wanting to have fun! This is me with Kim and Michelle. We're hawt mamas! The hanging date tags you see in the last two are not part of the kits mentioned but instead are from scrapmatters.com by the Golden Girls digital designs. They're super cute! Anyway, just wanted to share what creative things I've been up to this holiday weekend; hope you liked the layouts! Enjoy the rest of your long weekend. 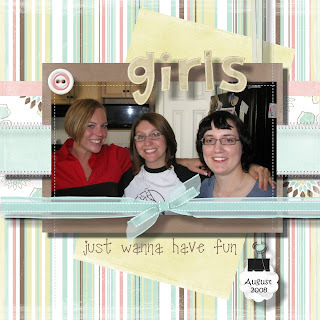 The date hangers came from scrapmatters.com...gg digital designs, The Golden Girls. I have them too and recently used them and your blog reminded me to update my credits. :) Very cute layouts!!! And I love your little knitty things -ADORABLE! Ahhh! Thank you Heidi! I appreciate it :) It totally left my mind after posting to keep searching for those. I am a little craftADD, haha.